Past entries in our Top 40 Season in Review series can be found here. 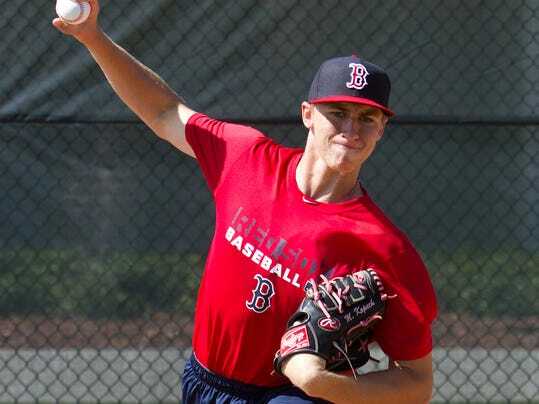 Scouting Report and 2015 Outlook: Kopech is a classic high-upside high school pitcher. If things come together, he could quickly establish himself as one of the top arms in the system. Kopech has a prototypical pitcher's frame, listed at 6-foot-3, 195 pounds, with long limbs and with room to fill out as he matures without losing athleticism. Kopech’s mechanics are a work in progress, but have already improved since he was in high school. He throws from a three-quarters arm slot with a high leg lift and turn at the waist before coming to the plate. Between being drafted and a viewing at the Fall Instructional League, he had already made that turn less pronounced, shortened his arm behind him, and stopped sliding across the mound as he turned to go to the plate. Season in Review: 2014 was a return to form of sorts for Coyle, who slugged his way to being named SoxProspects.com's Comeback Player of the Year after an injury-riddled 2013 campaign, although the specter of injuries lingered. The diminutive infielder, originally taken in the third round of the 2010 draft, got off to a hot start with Salem in 2013 before elbow and knee problems limited both his effectiveness and his time on the field. Assigned to Portland to start 2014, Coyle's Sea Dogs career got off to a similar hot start. He had an impressive .316/.381/.474 batting line on April 28, but a hamstring injury shut him down for the next four weeks, time off that also allowed a nagging bruised finger to heal. 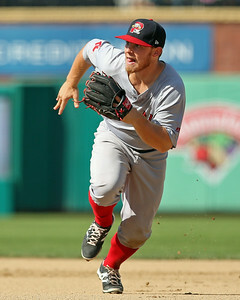 Upon his return, Coyle picked up where he left off, winning Player of the Month honors from both SoxProspects.com and the Eastern League in June for a .348/.450/.652 performance that included eight doubles and six home runs. His excellent first half earned him a spot in the Futures Game as part of the All-Star festivities in Minnesota. Photo credit: Michael Kopech by Andrew West/The News-Press; Sean Coyle by Kelly O'Connor.